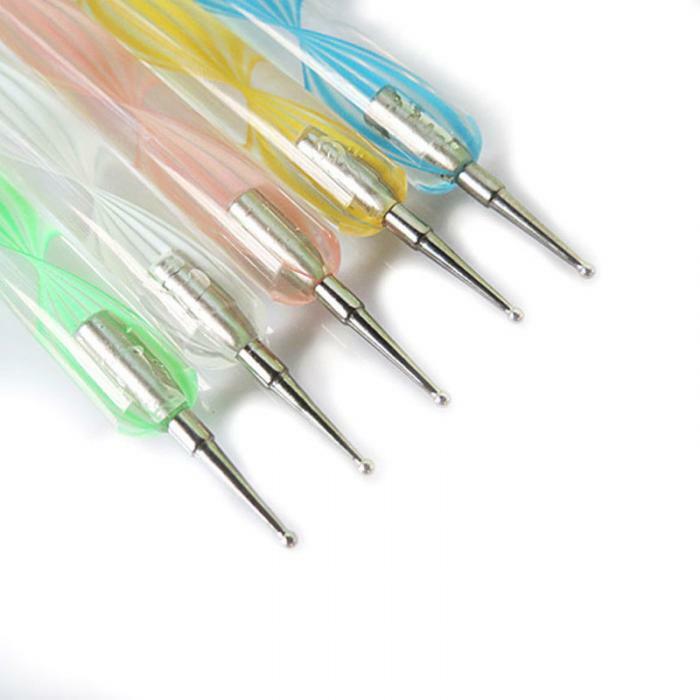 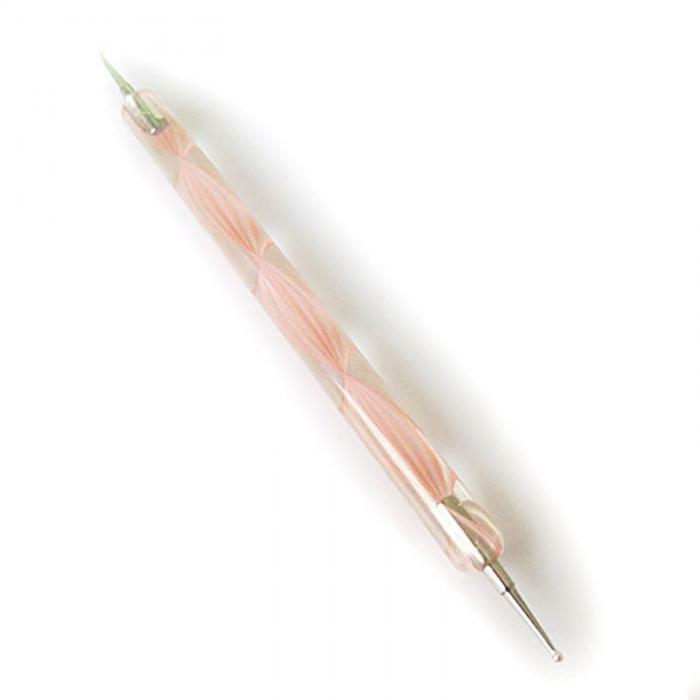 It can be used for creating dots of an even or decreasing size, and to pill dots into petal shapes when doing finely detailed flowers. 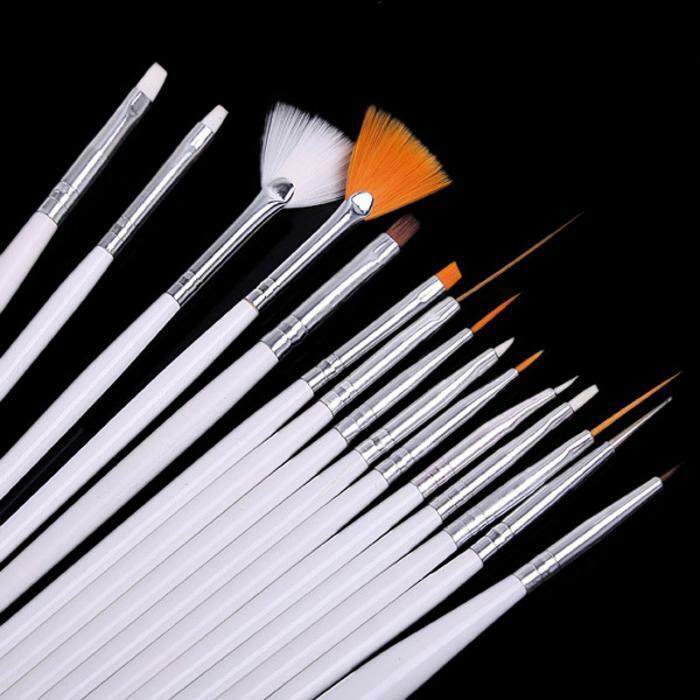 Flat Fan Brushes: Used to draw multiple lines simultaneously. 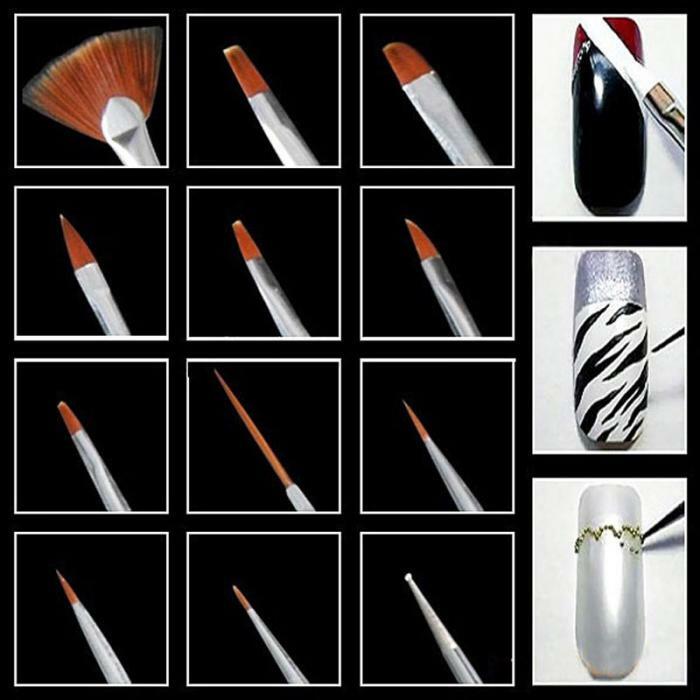 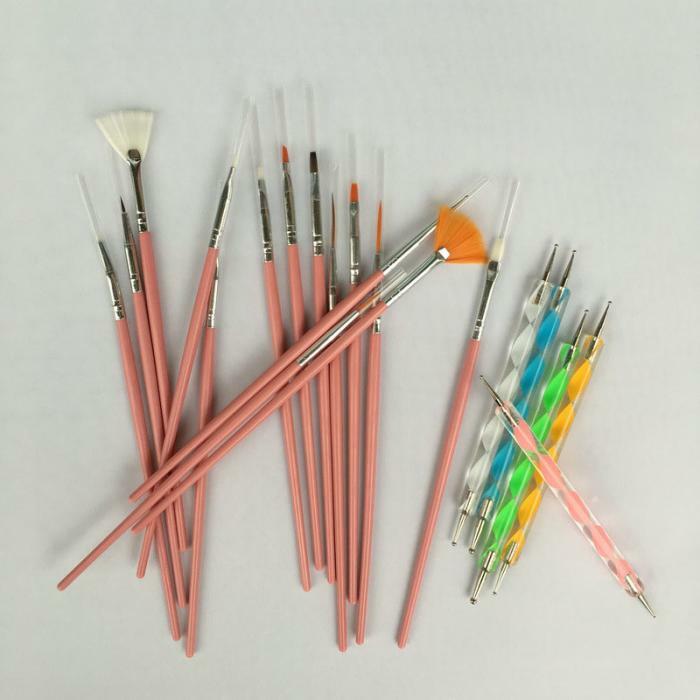 Pattern Brush: Used to draw fine patterns and acrylic nail art. 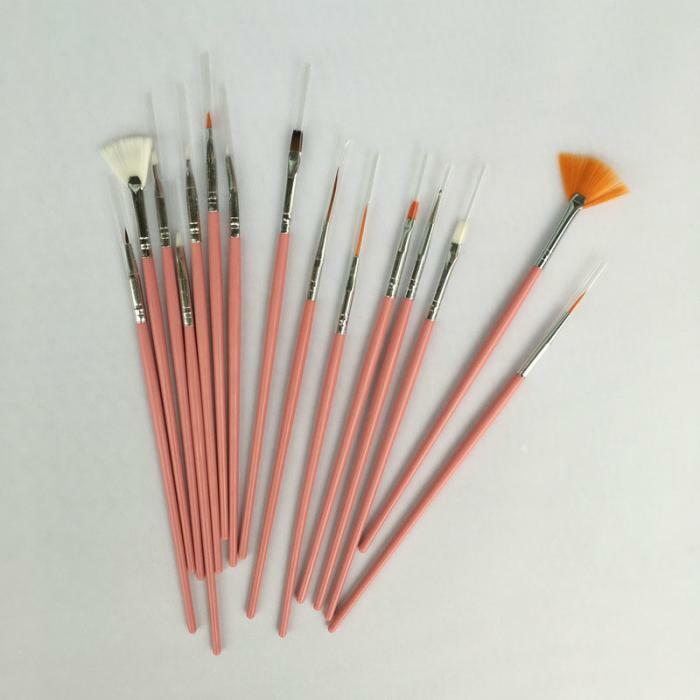 Striping Liner Brushes: For drawing fine lines. 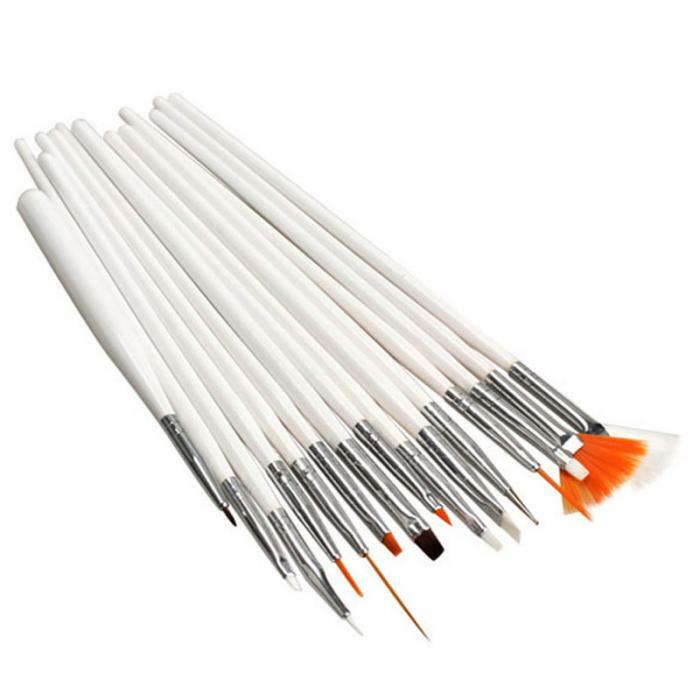 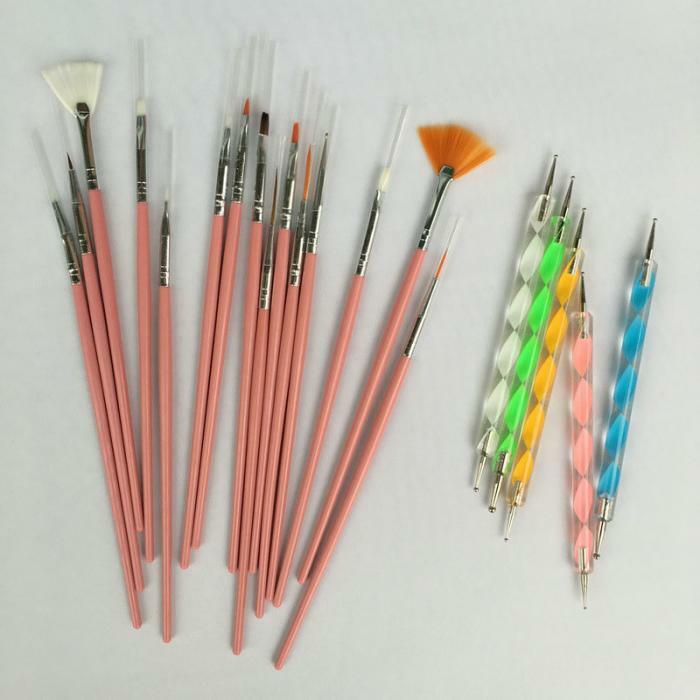 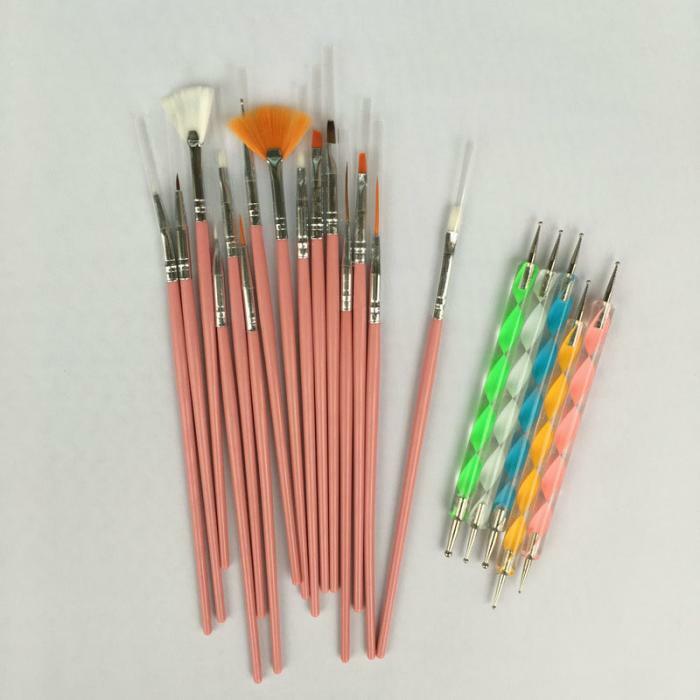 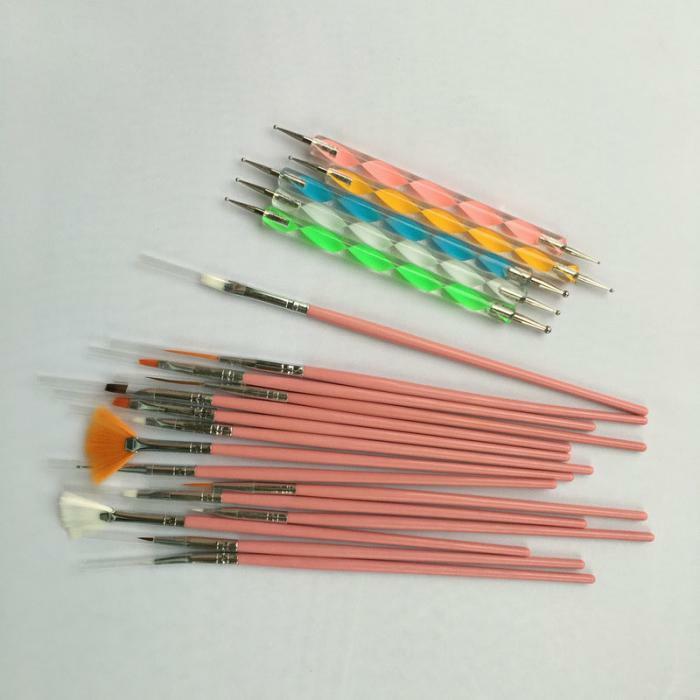 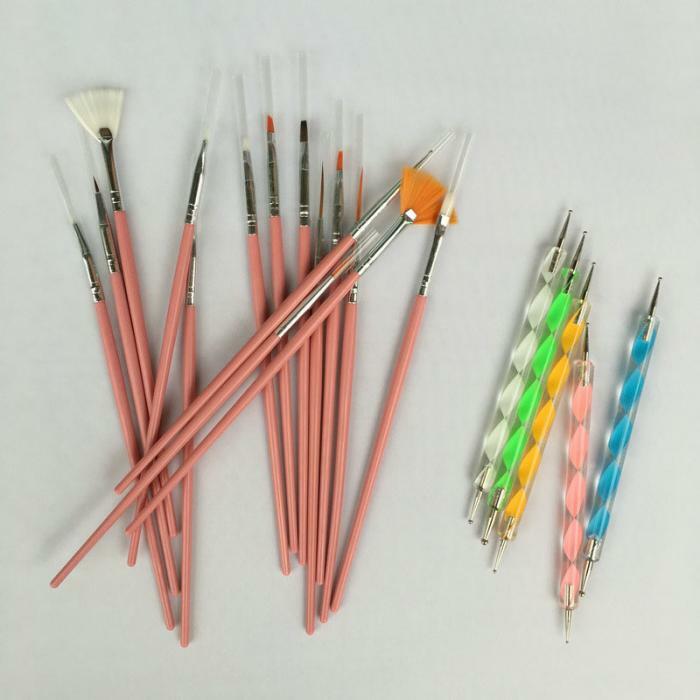 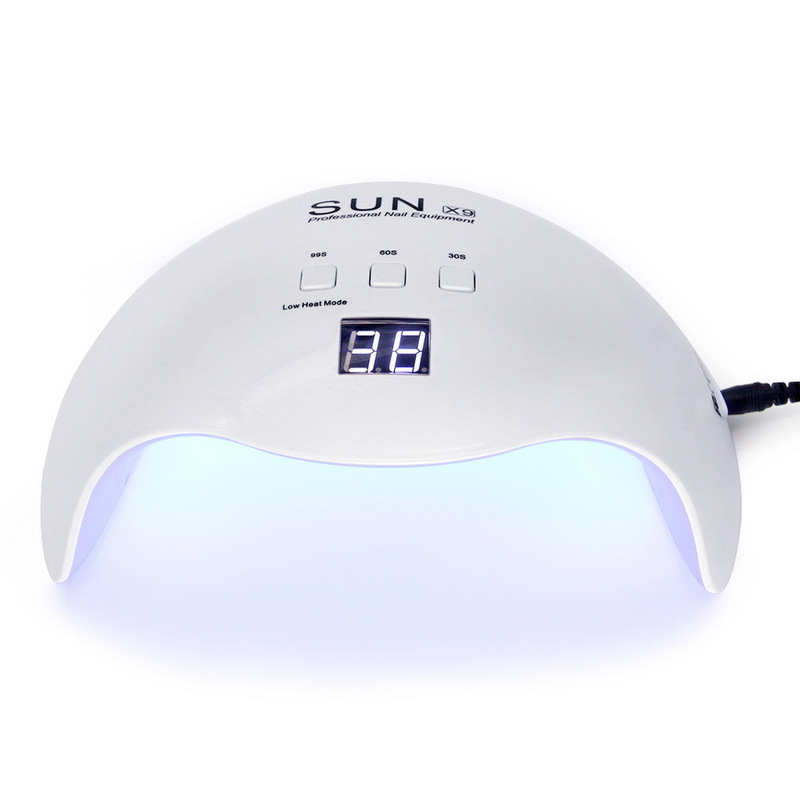 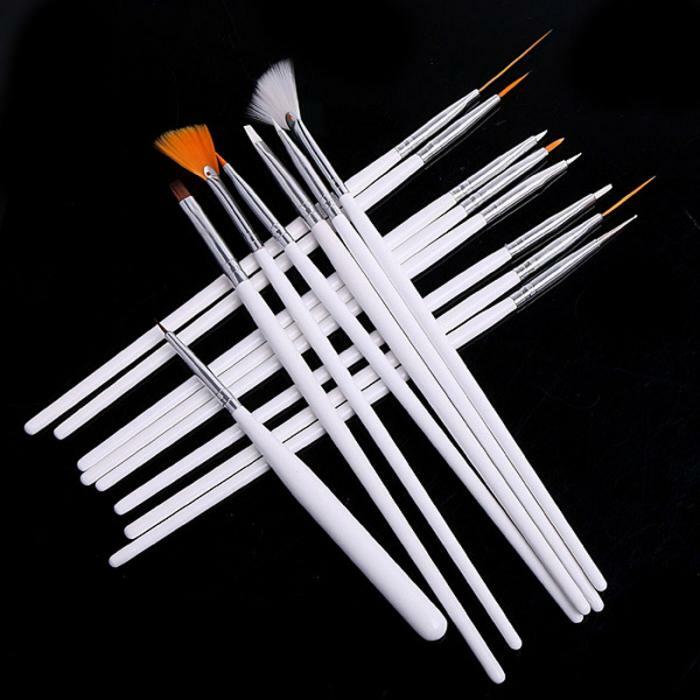 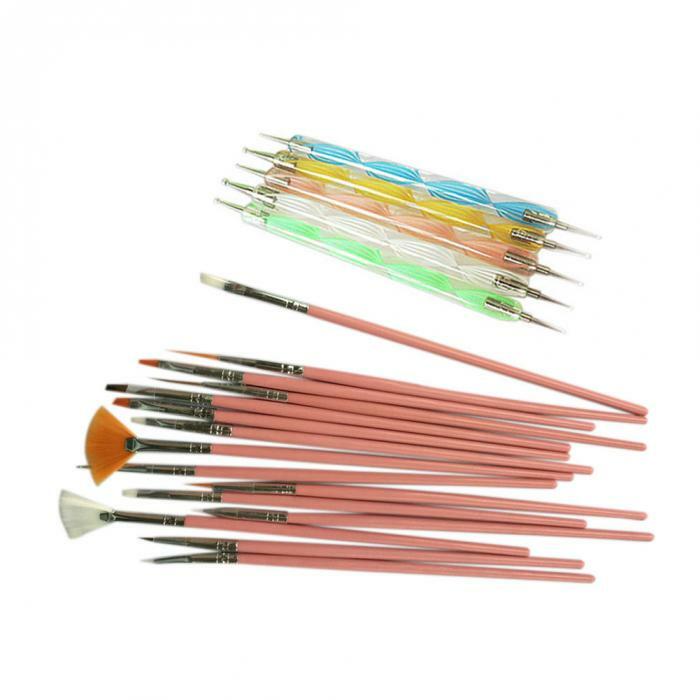 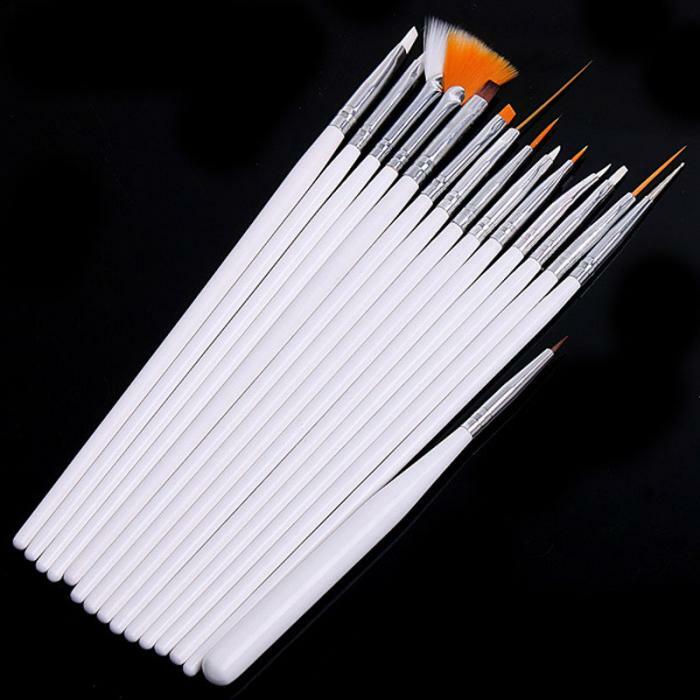 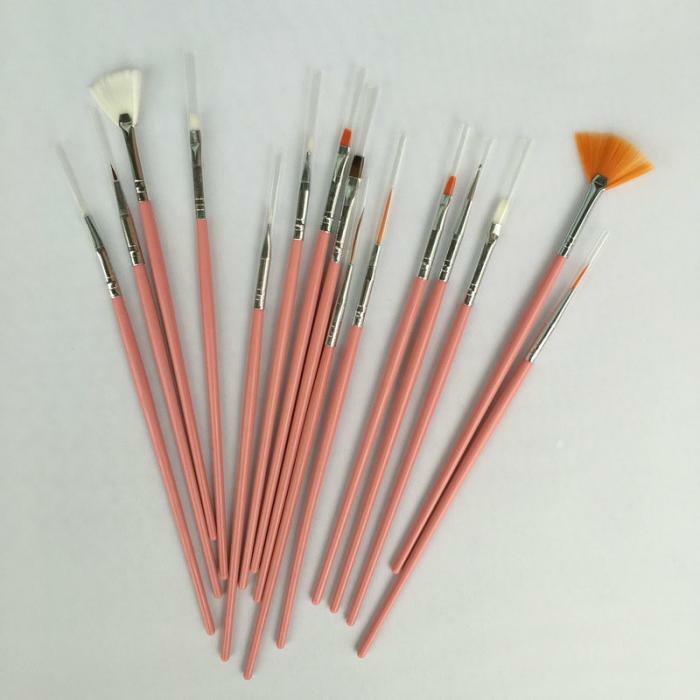 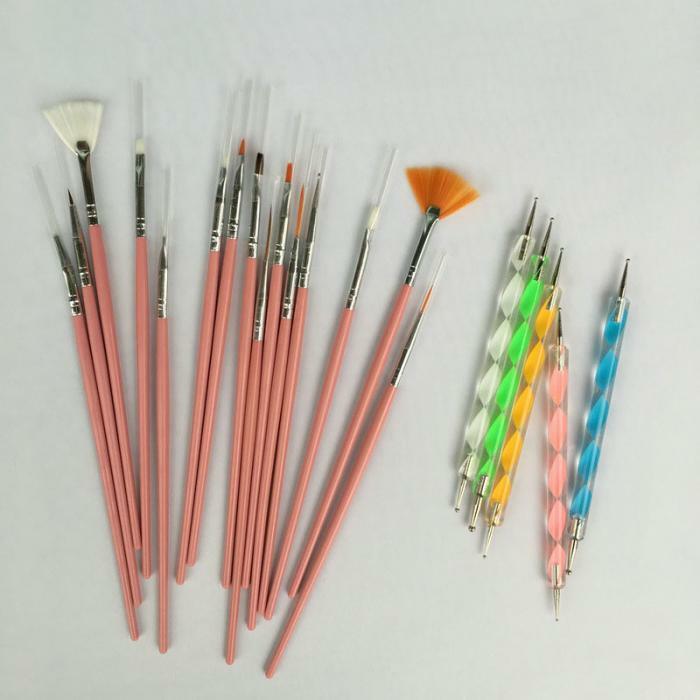 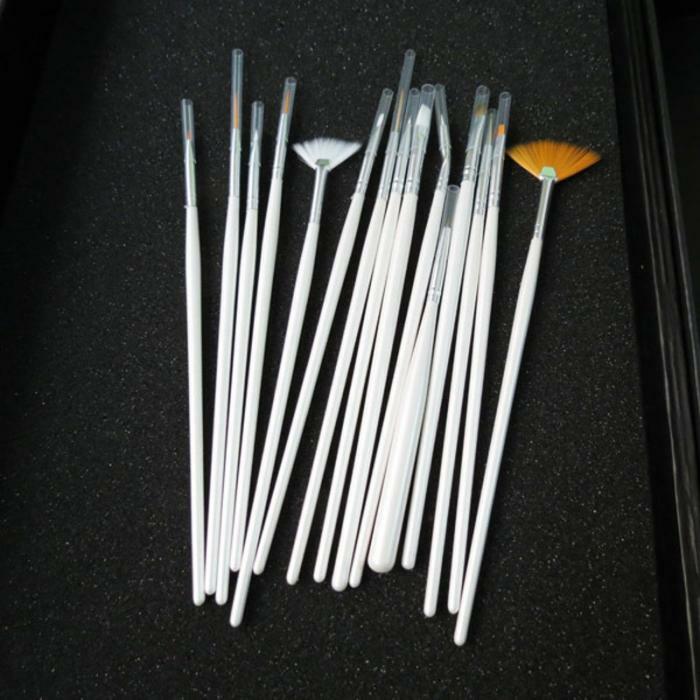 Flat Brushes: Perfect for UV Gel nail art and for painting on a thick line of color on your nail. 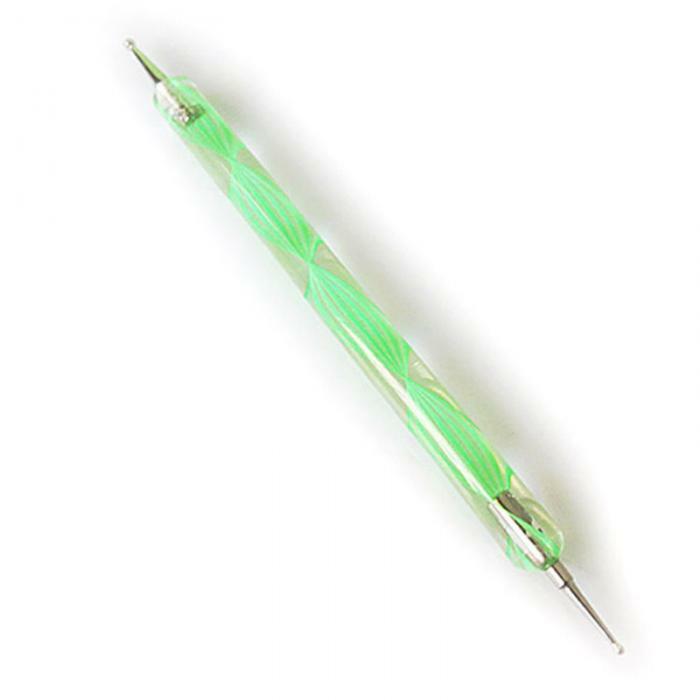 Dotting Tool: For creating dots, decreasing size and to pull dots into different shapes. 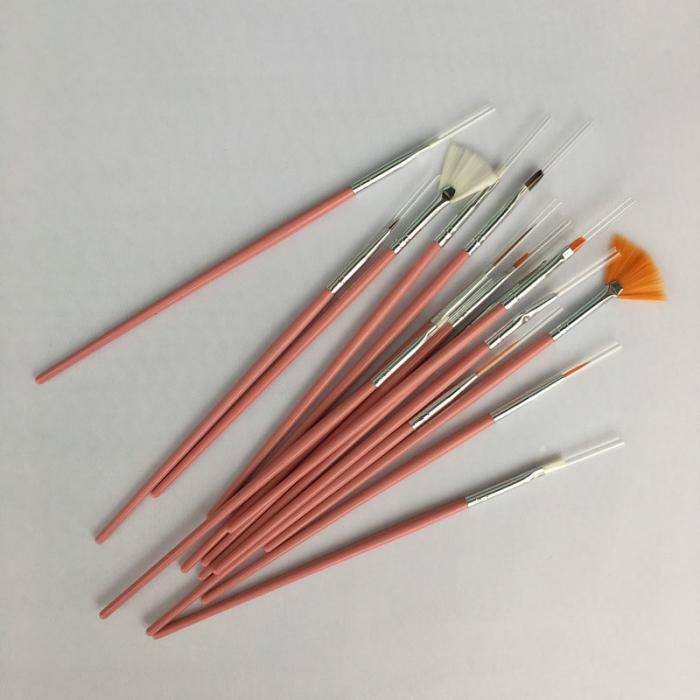 Petal Brush: For drawing leaves and petals. 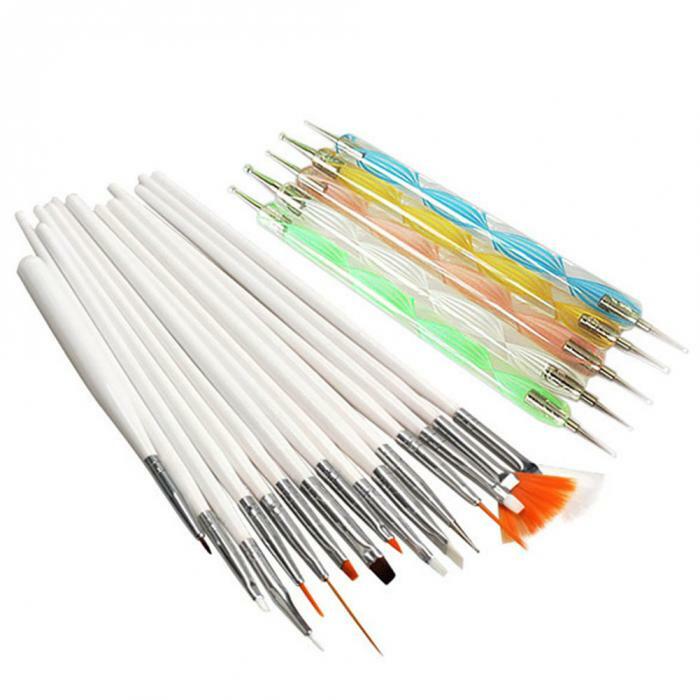 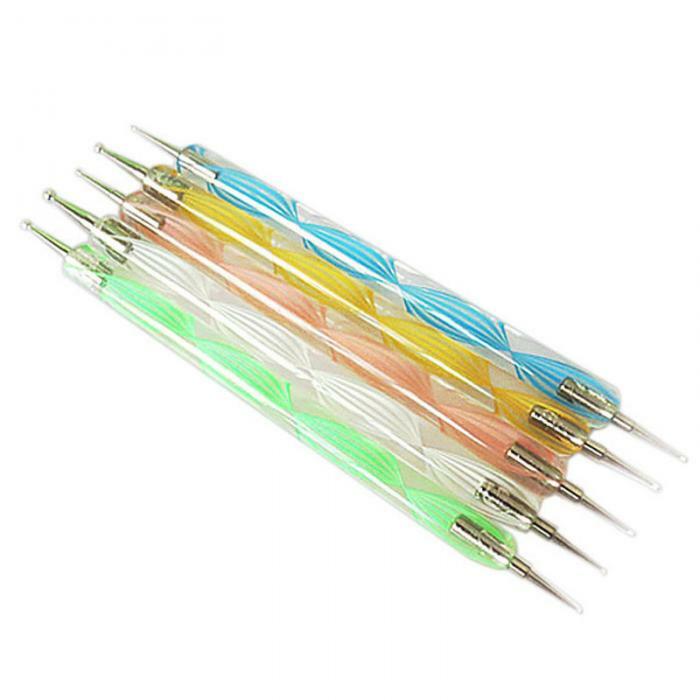 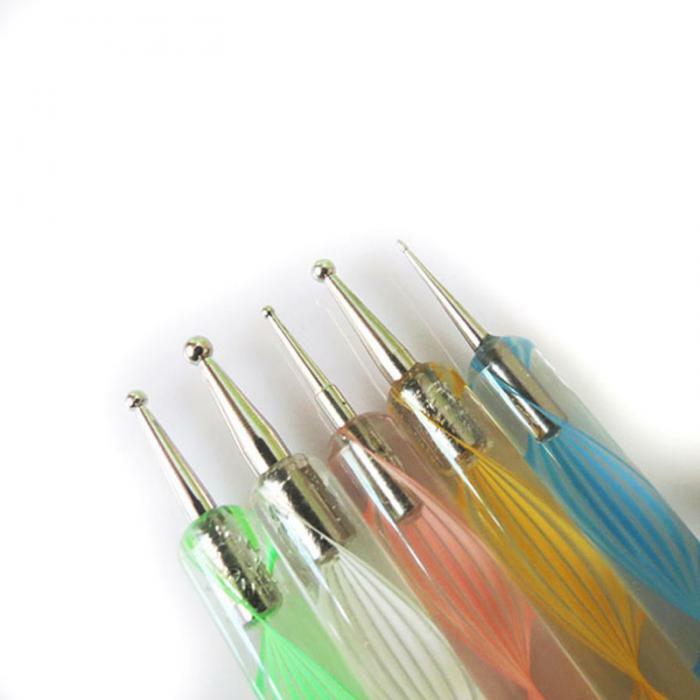 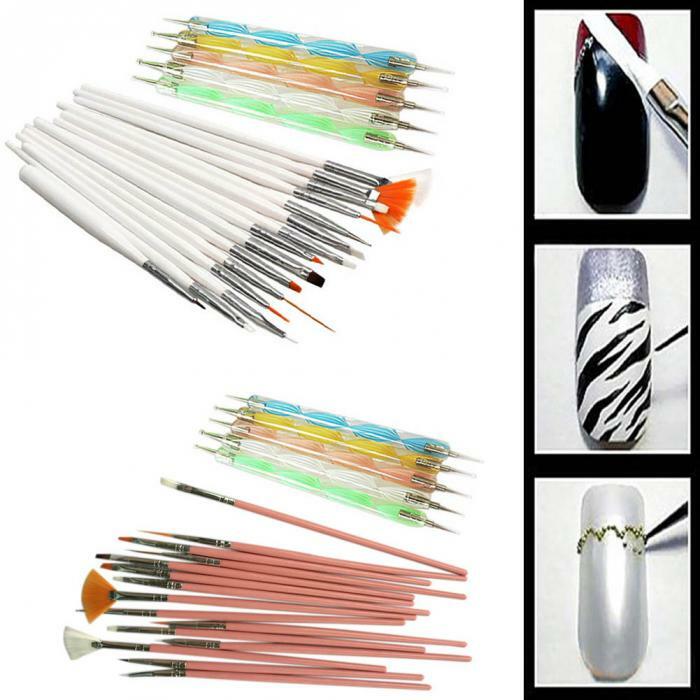 Double Ended Dotting Pens & Marbling Tools: To do polka dots, circle patterns, hearts and flowers nail art.